There’s nothing that divides the footy community quite like a good FIFA vers PES debate. At the heart of this debate is licenses. As both companies splash the cash in attempt to gain access to new markets while also holding onto their strongholds, Konami and EA (Clubs and their respective Football Associations as well) have separated the soccer gaming community for reasons not pertaining to gameplay. With EA having a stranglehold on the majority of the major European Leagues (England’s Premier League, Germany’s Bundesliga, etc. ), Konami has focused its efforts on smaller, but more global leagues. Sometimes securing these licenses are last-minute additions forcing Konami to add them post-release. While that’s better than nothing, let’s take a look at what’s in store for PES 2019. Fans of the Old Firm Derby will be happy to see that the entire league will be fully licensed (teams, kits and players) with Celtic FC and Rangers signing on as exclusive partners, meaning Ibrox Stadium and Celtic Park will feature in the game — although most likely post-release. The Scottish Premier League is new for PES 2019, and should add to the player pool as the league often serves as a feeder league for England’s top-flight division with younger players often going the other way via the loan system. Also new for 2019, Konami secured the exclusive rights to Russia’s top-flight division, meaning none of the teams will feature in FIFA 19. This came as a huge surprise considering EA rendered all of the 2018 World Cup stadiums for the World Cup DLC. Prominent clubs like CSKA Moscow, Spartak Moscow and Zenit St. Petersburg will have the official kits and players. With the addition of snow and dynamic weather, this league should be an excellent showcase for the Fox engine. What, if any, stadiums will be included pre/post-release is yet to be determined. 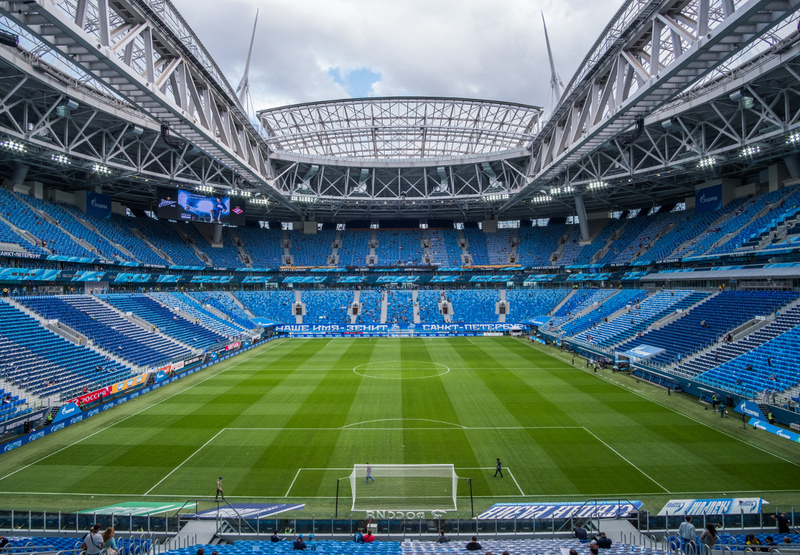 Hopefully, beautiful stadiums like Zenit’s St. Petersburg Stadium will make it into the game. Appearing fully licensed in PES 2014, the Superliga Argentina de Futbol went away for PES 2016 but is back in 2018. Fans of the Superclasico (River Plate vs. Boca Juniors) will be pleased as both the Monumental and Bombenera stadiums will be playable. Another excellent producer of talent for leagues like Italy’s Serie A, the Primera is always a fun league to play in, especially if you pump up the stadium noise and switch the commentary team to Spanish. It’s just a shame the Copa Libertadores isn’t licensed anymore. 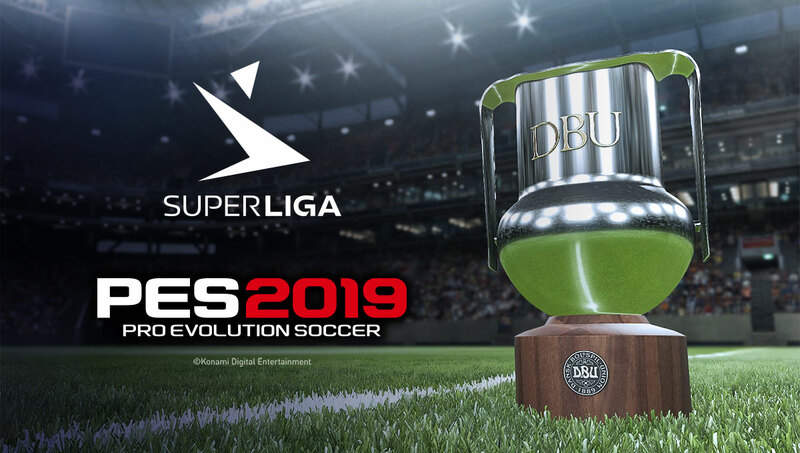 Also new in 2019 (sensing a trend here), the Danish Superliga makes its debut in PES. While the names might not be as familiar, clubs such as FC Copenhagen and FC Midtjylland have become regulars in the UEFA Champions League. It’s highly unlikely any official stadiums will make it, but hopefully there’s enough diversity in the generic stadiums to assign smaller seaters to these clubs. 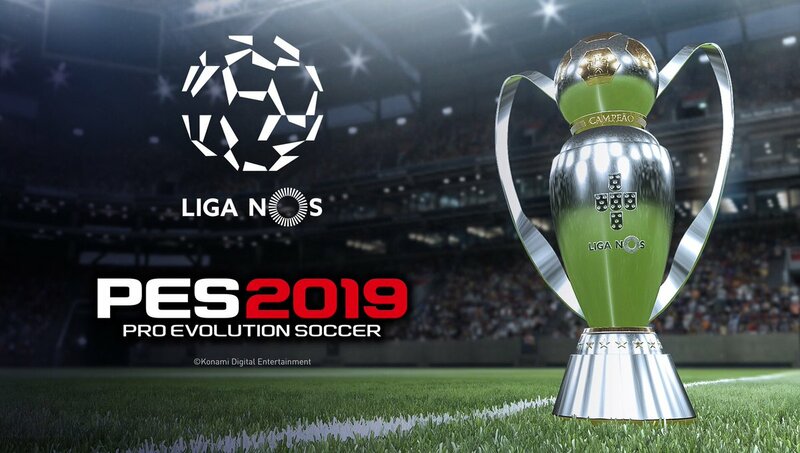 Debuting back in PES 2012, Liga NOS is back in 2019, this time fully licensed. Perennial Champions League participants like SL Benfica, FC Porto and Sporting CP will feature with Sporting’s stadium, the Estadio Jose Alvalade, being rendered. Some of the biggest stars in Europe have gotten their start in this league, most notable some guy named Cristiano Ronaldo, and with the Portuguese connect to Brazil this league provides an excellent talent pool to poach from. Making its first appearance in PES 2019, this small league only featuring 10 teams adds another league to the fold. Clubs such as FC Basel and BSC Young Boys have often been included in the “Other European Teams” section, but will be right where they belong aside their fellow Swiss clubs battling it out for a place in the Champions League. Again, to expect a lot of the official stadiums to be included in PES 2019 is probably setting yourself up for failure, but St. Jakob Park was in PES 2018 so there’s no reason to expect it won’t be back in 2019. 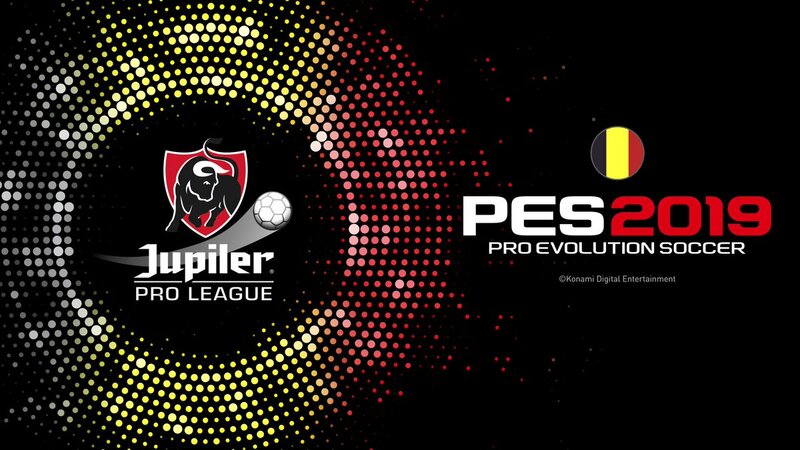 Often referred to as the Jupiler Pro League, Belgian’s top flight is new for 2019. Historically, several clubs such as RS Anderlecht and Club Brugge have been playable in the “Other European League” but this marks the first time this league is fully licensed. If the Belgian national team’s third-place finish in this summer’s World Cup is any indication, this league and country is a hot spot for talent as players such as Man United’s Lukaku, Man City’s Kevin de Bruyne and Chelsea’s Thibo Courtois all got their professional starts in this league. This might not be the most popular of leagues for PES players to partake a Master League campaign in, but its inclusion opens up editing spots that would have otherwise been allocated towards a few clubs. The tenth-ranked league according to the most recent UEFA ranking, the Turkish League marks its debut in PES 2019. Fans of big clubs such as Besitkas, Fenerbache and Galatassary will be elated that they finally can use them in their native league this year. If you’re a fan of a traditionally powerhouse European club side, you will know that a midweek trip to Turkey is like entering the gates of hell. Passionate fans close to the action, flares galore and endless chanting signify the Turkish Super Lig, not to mention some classic kits such as Galatassaray’s red and yellow kit. 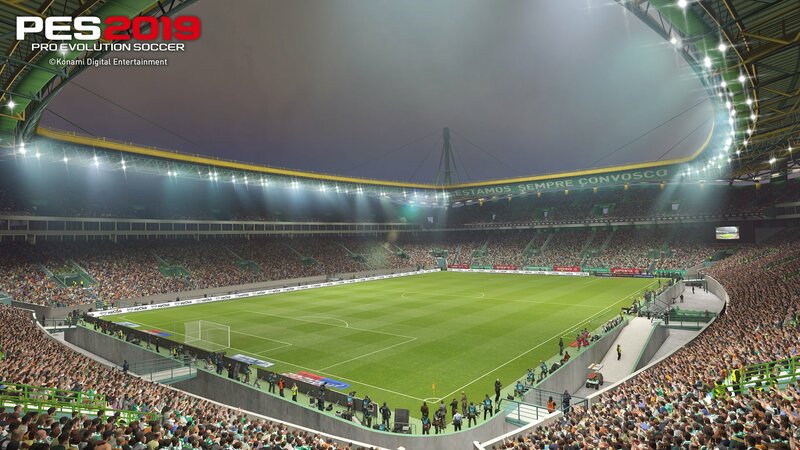 Fenerbache’s Şükrü Saracoğlu Stadium is included in PES 2019 and it looks spectacular. There is no league more famous for their development and export of top talent than Holland’s Erdedivisie. Legendary players like Johann Cruyff, Zlatan and Luis Suarez have all honed their craft scoring a boatload of goals in this attack-oriented league. 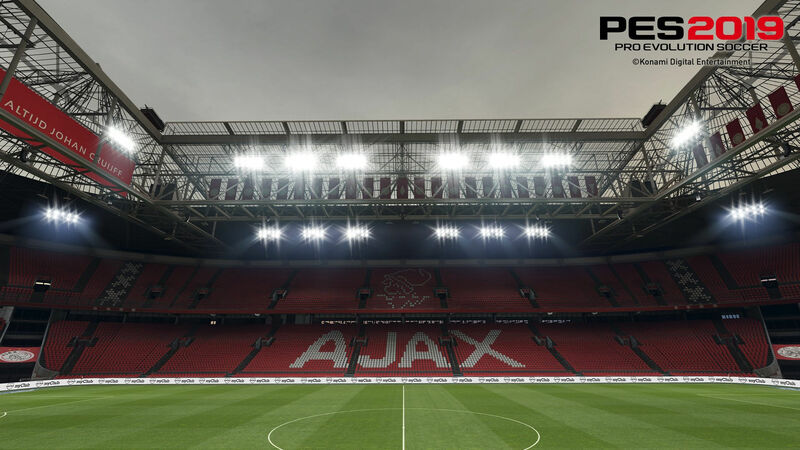 Ajax, which will have their stadium playable in PES 2019, joins the likes of Feyernood and current title holders PSV Eindhoven as fully licensed teams. With two Champions League spots up for contention, your Master League scout should be prepared to spend quite a bit of time here. The list of Brazilian football stars who have gotten their starts and/or have plied their trade here is as long as Rapunzel’s hair. It’s no secret that if Konami focused its efforts on expanding its presence in South America, it would place a lot of resources into creating an authentic league experience. Sao Paulo, Flamengo and Palmeiras are all on board as official partners with the remainder of the top division sides fully licensed. Last year five Brazilian stadiums made their way into the game, so expect that number to at the very least stay the same. Want to find the next Brazilian wonder-kid? Send your scout to Brazil and be prepared to outbid Europe’s biggest clubs. The biggest European League under Konami’s control, France’s top two divisions will be fully licensed in PES 2019 with AS Monaco taking center stage as an exclusive partner, meaning the Stade Louis II and its famous track will be in the game. Unfortunately, free spenders PSG are locked into FIFA, but you will still be able to cause terror with Neymar and Mbappe as all teams, kits and players are fully licensed. With most likely one authentic stadium, Ligue 1 and 2 tend to suffer from some monotony as you have to assign generic stadiums and play with generic match-day overlays. It’s really a shame because France is home to truly beautiful stadiums (Marseille’s comes to mind immediately). A perennial producer of elite talent, many of France’s 2018 World Cup winning side got their start in these two leagues. The last fully licensed league on this list, the Chilean Primera Division will feature this year with perennial powerhouse Colo Colo (32 titles, 14 more than second-best Universidad) signed on as an official partner. With the Brazilian, Chilean and Argentinian Leagues all fully licensed, it’s really a shame that the Copa Libertadores has been removed as it was always a great place to start off a new PES save while option file creators were hard at work on the European Leagues. “Mes que un club,” the famous mantra of powerhouse side FC Barcelona, is back as the premier partner in PES — meaning the Camp Nou and all its glory will be playable in PES 2019. Messi, Suarez, Coutinho and Pique highlight a few of the huge names that ply their trade at this famous ground. There are few more notable footy experiences in Europe than Liverpool’s iconic Anfield. The atmosphere on a Champions League night is enough to bring goosebumps to this Chelsea fan’s arms as “You’ll Never Walk Alone” is belted out from the supporters. With their trademark “Gegenpress” style, Liverpool returns as a leading global partner. New to PES 2019, the blue half of the Revierderby returns to PES after a few years off with a fully authentic Veltins Arena. 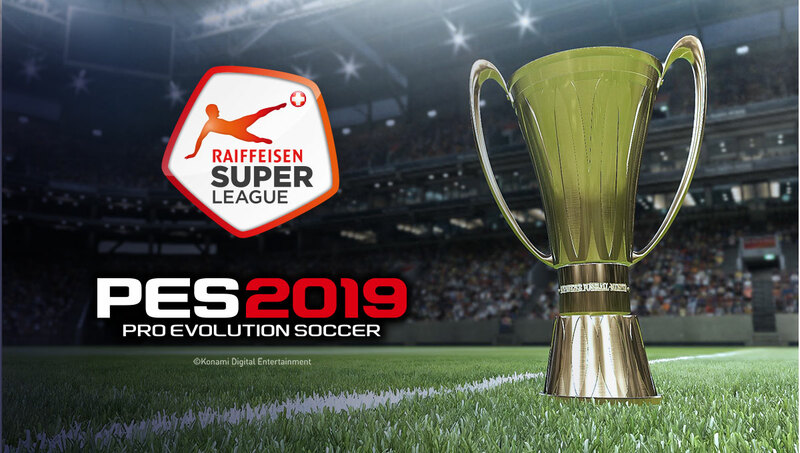 With yellow half Dortmund cancelling its partnership with Konami, the crosstown rivals were quick to seize the chance at building their brand with PES 2019, especially after a second-place finish last year in the Bundesliga — two places ahead of Dortmund. The lavish lifestyle that captures the essence of Monaco has played second fiddle over the past few years as the Stade Louis II has seen remarkable success with AS Monaco, none more so than 2017’s Ligue 1 title and semifinal appearance in the Champions League. Capitalizing off this success and a scouting system that has cashed in on the likes of Mbappe, Martial, and Bernardo Silva to name a few, this club has established itself as a perennial force in Ligue 1 and should expand upon its global reach by fostering this partnership with Konami. Two of the most historic clubs in the world, there are few occasions quite like the Milan Derby. With the San Siro licensed in PES, these two clubs look to put a rather disappointing recent history behind them as they spend their way into success. Perennial partners with Konami, the Milan Derby is always the first match I play in PES. Hopefully, the re-emergence of Serie A will lead to bigger and better things for Serie A, especially when it comes to being licensed once again in PES. Three of Brazil’s most widely supported clubs find themselves once again as premier partners in the South American market. No strangers to producing top talent, these three sides often set the pace in Brazil’s first division. Did I mention they have 32 league titles?14 more than second-best Universidad de Chile? Oh okay, just checking. The red side of the Superclasico, River as an official partner immediately elevates a club that is already known throughout the world. The white kit with the diagonal red sash kit, classic. With the home ground included in PES 2019, I look forward to playing a few superclasicos. The classic red and white kits, the architects of “total football,” Ajax will bring some much needed authenticity to the Dutch League. While it has been one of the most poached clubs, Ajax still has some experienced players like Dusdan Tadic and Klaas-Jan Huntelaar. Disappointing this summer, Argentina still features the best player on the planet and enough attacking talent to make them a popular selection online. The Albiceleste are so far the only South American team fully licensed to date. The 2018 World Cup winners will be featured in PES 2019. Mbappe, Griezman, Pogba and Kante are at the heart of an absolutely loaded squad. Les Bleus will also be a popular pick and a good team to use in the demo due to the team makeup. You have quicker forwards like Griezmann and the pacy Mbappe to go along with the strength and physicality of World Cup Zero Olivier Giroud. You also have the tireless Kante versus the strong physical presence of Pogba — and of course the guy that cleans up everything when things do go wrong, Varane. With EA having a firm grip on most of the major European Leagues, Konami has focused its efforts on the smaller leagues. Despite parting ways with the UEFA Champions and Europa League licenses, filling these two prestigious tournaments with the proper clubs should be a lot easier. Whether or not Konami will add the same number of fake leagues to fill in the gaps is still yet to be seen, but one thing is clear, Konami has definitely added more licenses than ever before with a promise to keep trying to add more along the way. What new license are you most looking forward to? Which league would you most like to see added to PES 2019? I feel that PES 2018, in combination with option files provided by PES Universe, is the best soccer game ever made. The changes made in terms of gameplay were a homerun and made the game fun to play unlike PES 2017. I am such a fan of the PES series so I'm very excited about this year's game. I am disappointed with the loss of the Champions League but the addition of so many new leagues has me intrigued. Leagues that I want to see added are MLS and Liga MX. Like everyone else, I would love to see the Premier League and Bundesliga. However, I am pleased that PES has always offered generic leagues for the Premier League and the EFL so that works well with option files. I would like to see them add a generic German League so that option files can be used for it. I would also like to see the J-League and the China Super League added. MLS and the Superleague Greece for next year please!! People complain about PES not having enough licenses but you can just update the game 1 week after release with data in PES universe and boom all of the clubs would be licensed !!! So i don't know why people keep talking about it. I play PES and with full license provided by PES community, so no big deal. I am very excited about Turkish Super League license of course as a Fenerbahce fan. It would be a dream for me to play with Fener in Master League and try to conquer Europe. I am excited to play with Rangers as well in Scotland and try to get them back to their glory days.